Description: Giant Inflatables is an International Award winner Australian Company, An Australian Manufacturer of exciting, cutting edge and modern inflatable products for the local and international market & events. Giant inflatables was born out of the creative vision of David Abramowich. It began as a start up in Melbourne designing & supplying “inflatables with character” to companies who wanted to make an eye-catching and original statement on their rooftops for advertising. 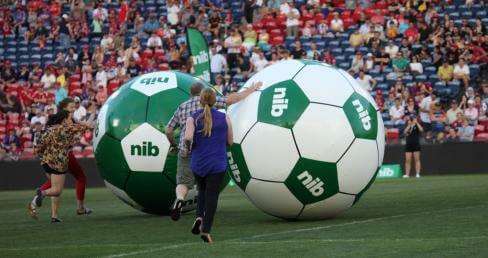 Since its inception in 1998, the drive has always been to create outstanding designs for unique inflatable products that realize the needs of market leading organisations, sports agencies, advertising agencies, event management companies and envisioned individuals. Giant Inflatables has developed a highly talented Genius Team of designers and service driven individuals who share the passion and character to build a trusting relationship with our clients.